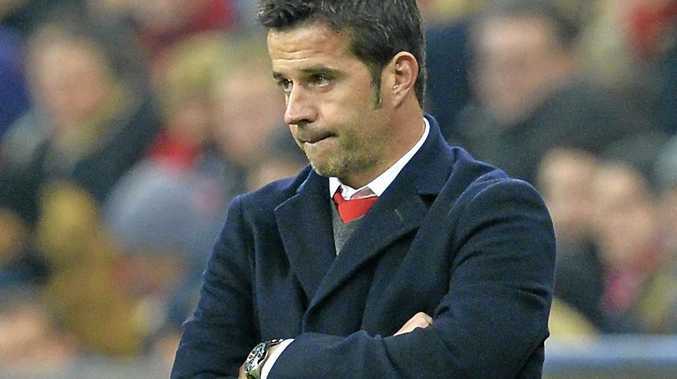 HULL City has confirmed Marco Silva as its new manager until the end of the season. The 39-year-old Portuguese replaces Mike Phelan, who was sacked this week following a torrid run of results that left the Tigers rock bottom of the English Premier League. Silva, who has no experience in English football, will take charge of Hull for the first time in the FA Cup third-round tie with Swansea City on Sunday morning (1am AEST), before the man dubbed "the new Mourinho” takes on Jose Mourinho himself in the League Cup semi-final against Manchester United next week. He will have the option on an extra year at the end of the season, with the contract initially lasting six months with a break clause after that. In a statement Tigers vice-chairman Ehab Allam said: "Marco is a young coach who has impressed us with his philosophy and football style. "He has a great track record and we feel this is a bold and exciting appointment in our aim to retain the club's Premier League status. Marco will be bringing in his own backroom team who have all played their part in his recent success. Silva was most recently in charge of Greek side Olympiacos, which beat Arsenal in the Champions League last season, and also won the Portuguese Cup with Sporting Lisbon in 2015. He becomes Hull's third permanent manager since its promotion to the Premier League in May.